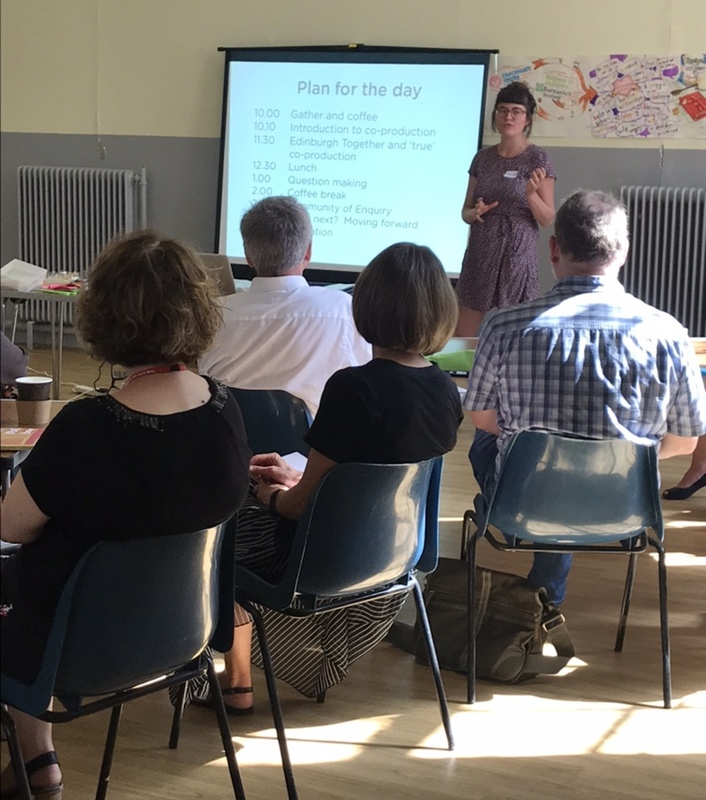 We ran a workshop for the Edinburgh Together ASL Consortium on 28 June 2018, which aimed to give people from the service time to think about how they can embed cultures that support co-production. The ASL (Additional Support for Learning) service at City of Edinburgh Council works closely with schools, parents, medical professionals and partnership services and agencies to provide specialist teaching and support to children and young people across Edinburgh. Below is a short summary of the day’s discussion and activity, which was facilitated by Josie Vallely. First-off, the group reviewed Iriss’ work to date on co-production. It considered the different settings in which co-production can be used and how co-production addresses power imbalances that are inherent to professionalised services. 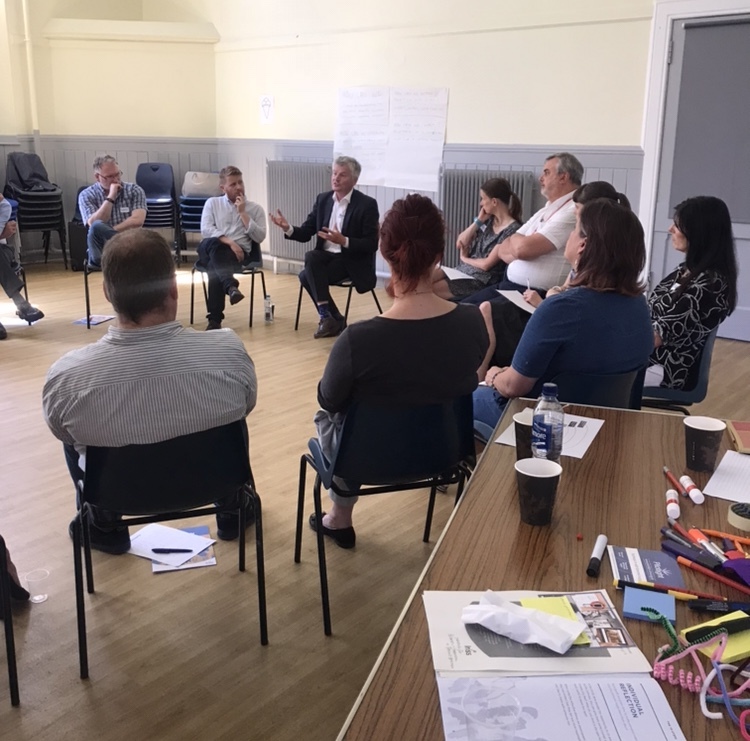 Learning from the Pilotlight project was shared with the group, which explored how co-production could be used to influence the use of self-directed support in different settings. It was explained that throughout the day, the Iriss co-production planner would be used to support the group activity. 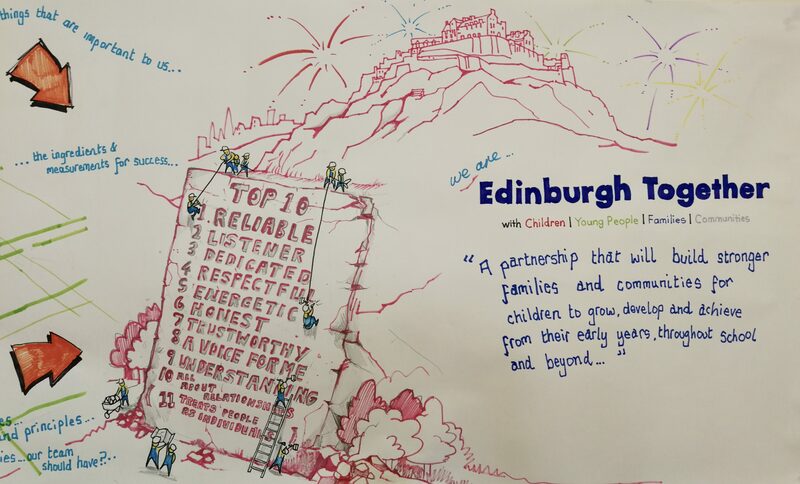 The first group activity involved thinking about who would need to be in a co-production team that was looking to improve support available to children and families in Edinburgh. A graph was used to explore power relationships between people who make decisions, and the people who are impacted by these decisions. The group got creative, making models ( some abstract!) of the kinds of people who would need to be involved, to prompt discussions about shifts in power. The group also discussed who currently has the most say, and talked about how private enterprises and schools, and the articulate middle-class have the most power to make change right now. This was followed by a discussion on how to bring people together in a way that facilitates quality conversation and does not rely on people having to give very personal information to a group setting. The use of tools was discussed in this context. There are many tools included in the co-production project planner and Iriss has also produced a publication about using tools in a social services setting. When the group understood the co-production process and what it involved, it then focused on the existing assets to support the process going forward in the context of Edinburgh Together ASL service. Individuals also thought about the assets they could personally bring to the project. 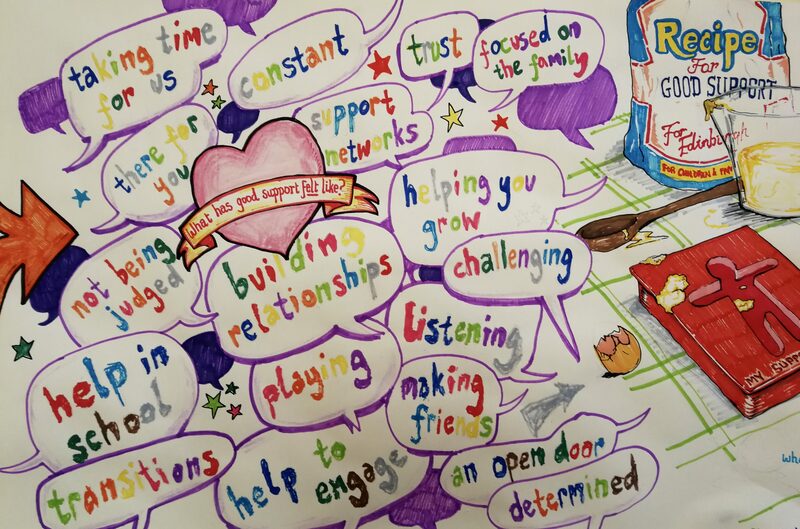 My interest is for families and young people with learning disabilities and or ASD short-term on going support practical emotional, sibling and parental mental health. I am interested in how services can effectively work together bringing and drawing on expertise. I am exploring different ways of engaging communities, for example, coffee mornings, surveys, information evenings, workshops. Developing practice day to day. I bring my own outlook, including holistic outcomes, valuing individuality and having hope and faith. When asset mapping was complete, the group took some time to think about how it could move forward, reflecting individually on the previous presentation and convesations, before breaking for lunch prepared by the young people at Canongate Youth. The concepts being address are complex and the range of services and individuals involved makes it a challenging process. The basic premise is one I welcome but it can feel overwhelming because of this theory, method and practice – how does it fit together? Communication seems keys, so getting to meet each other as professionals seems beneficial. Love the fact that we have been given this toolkit to explore. The breath and scope is huge – how do we work with meaningful focus? We need to build on strengths and look at what is already happening, sharing evidence based practice. Using what we know, subjective views of stakeholders vs data and outcome measures… Relationships allowing for support and challenge to do the best for our children families and communities. There is agreement from colleagues for a team around clusters to be a focus for development. We need to build on locality planning to understand who else is out there who can support this journey. There is a need for the voice of those who are impacted upon most… how do we effectively ensure this part of the process? The group gathered with new energy and decided to follow a community of enquiry process. 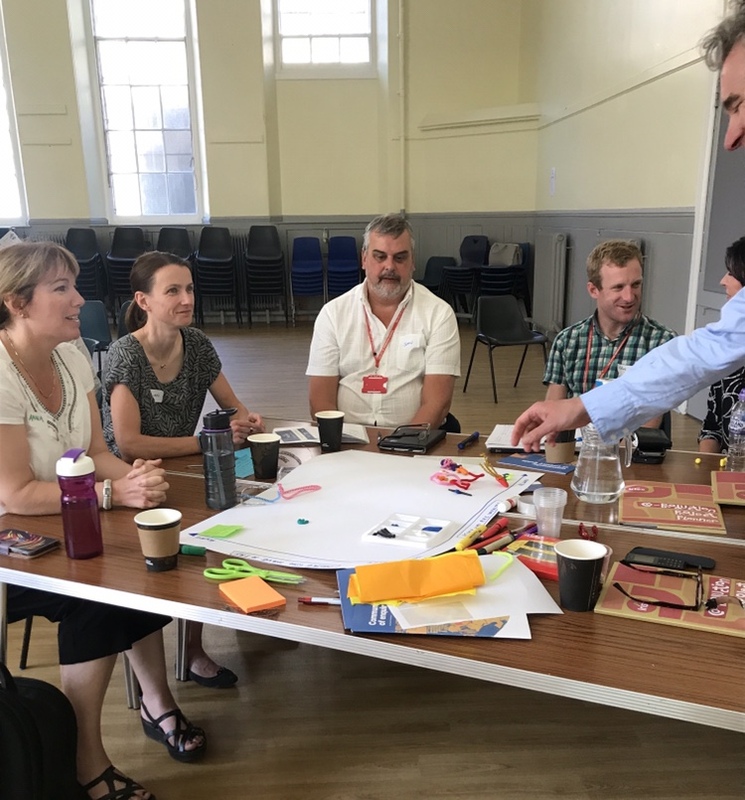 A community of enquiry is a workshop-style session that offers space for people to collaboratively explore ideas and ask rich and meaningful questions of each other. The session starts with a participant being presented with a prompt – in this case the prompt was the group’s reflections on the day. Using a ball of string activity the group divided up into pairs to reflect. The pairs then got together with another pair to come up with some questions they would like answered. Again, a community of enquiry was used for the group discussion. 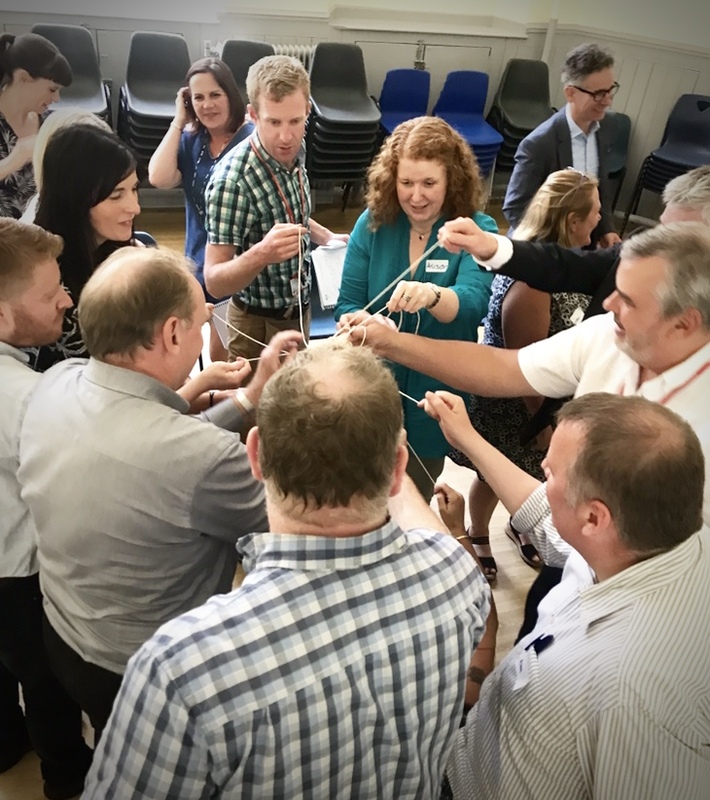 The conversation concluded with the term ‘co-producing clusters’ – could we use co-production in a cluster context to foster trust, understanding and generate solutions? What could we get started on tomorrow? What could be done in the next six months? The day ended with the group feeling positive about what it had achieved and the connections made in the room. The Consortium will keep Iriss in the loop about how this work develops and we warmly thank them for their time and dedication in supporting growing a culture of co-production.